Education in three constitutional moments (1812, 1931, 1978). The progression of the conceptions about the methodology of teaching of a sample of prospective secondary education science teachers in their initial teacher education, attending to distinct moments of his formative process, conceive was studied by analyzing the methodological proposals they expressed in their practicum reports. The commonest proposals were related to transitional teaching models, at an intermediate position between a traditional focus on direct transmission of the curriculum and an inquiry-oriented classroom practice. M. Pilar García Rodríguez, Luis Meseguer Martínez, Sebastián González Losada, Carmen Pozo Muñoz. 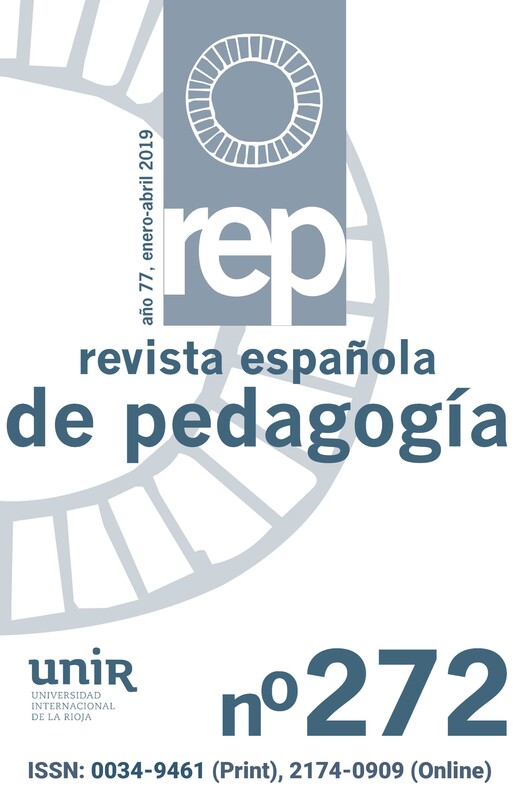 This paper presents a didactic sequence proposal, jointly designed by university and high school teachers of English and Spanish (Región del Bio Bio, Chile), which aims at supporting students development of writing skills through the application of a wiki as a computer mediated collaborative tool. For this purpose, the paper provides a conceptual framework which supports the proposal, followed by a writing didactic sequence design, based on the process writing approach, the collaborative learning theory, and computer mediated communication.